It is joy in the heart that puts Christmas in the air. 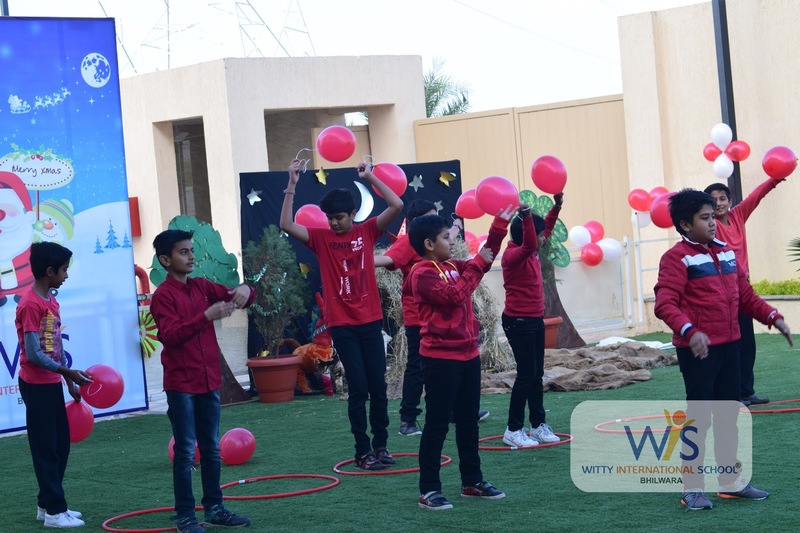 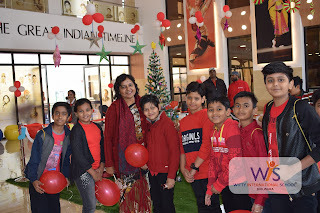 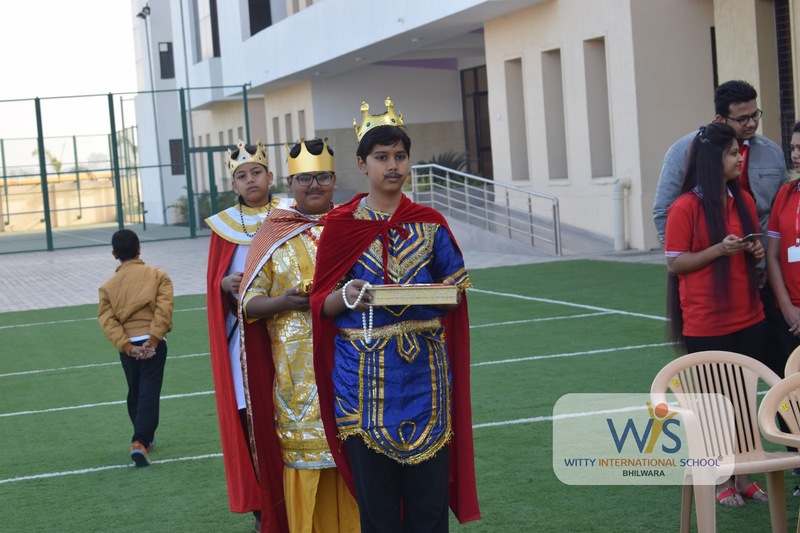 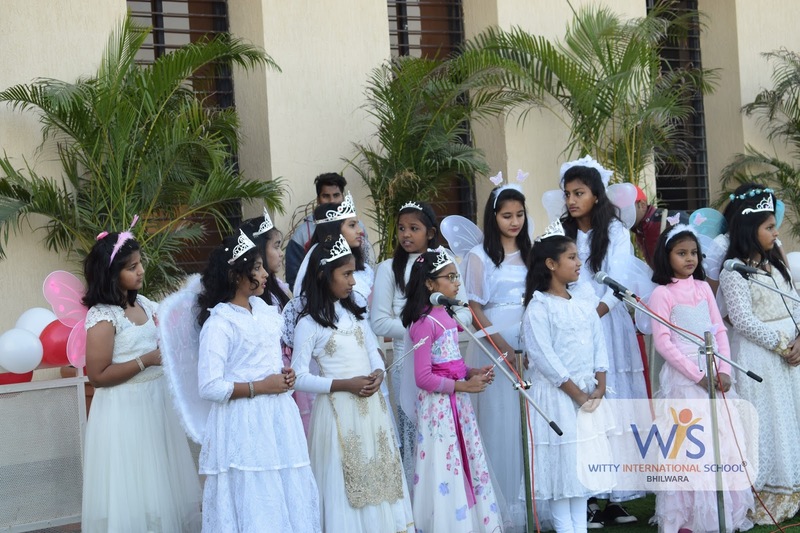 Wittians of WIS,Atun Road,Bhilwara donned in casual attire and Christmas caps presented various programmes to celebrate the birth of Lord Jesus Christ on Saturday, December 23,2017. 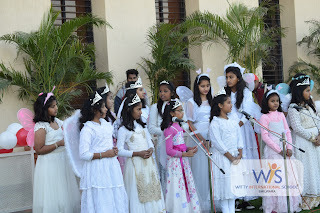 The programme commenced with beautiful poems and carols presented by the school choir, followed by a speech and poem on Christmas. 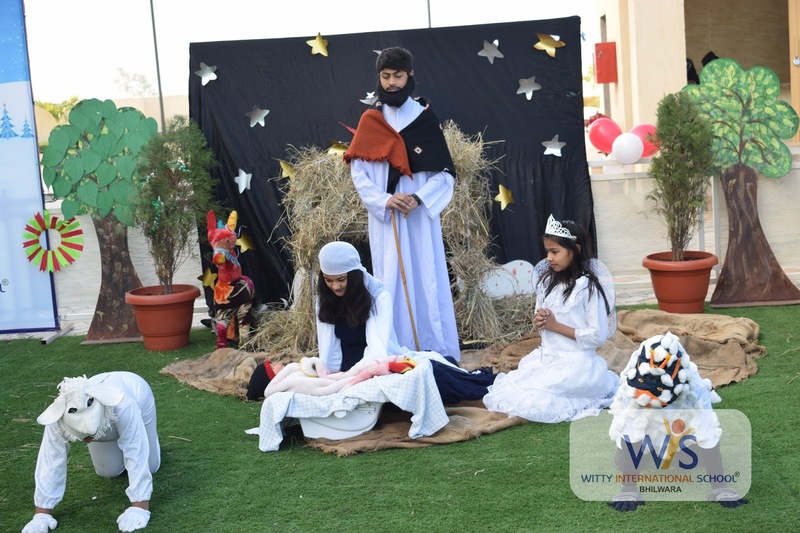 The students of Grade IV to VIII showcased the Nativity Play giving a glimpse of the momentous occasion. 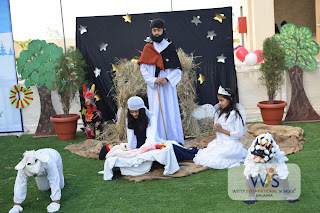 The Witty Choir group presented melodious Christmas carols in praise of the Lord. 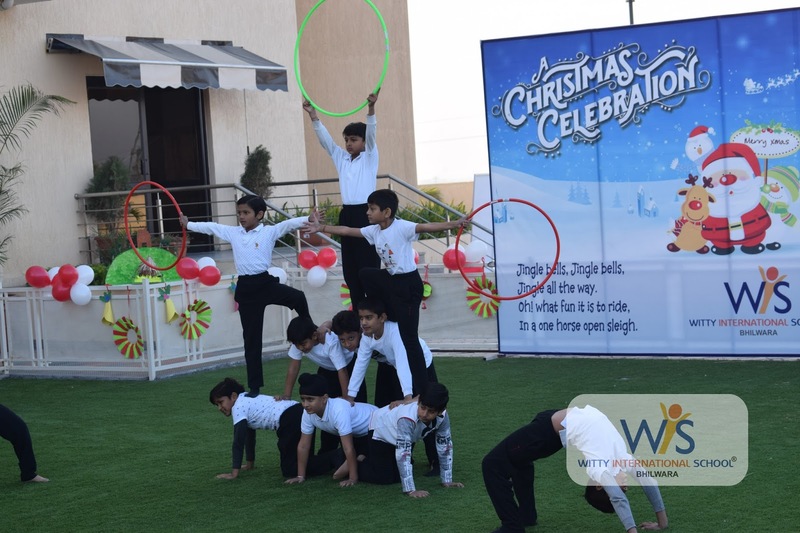 The perfect essence of Christmas was captured through the musical tunes of joyous Christmas carol ‘Jingle Bells’ presented by the students of Grade II. To add to the festivity fervor, Santa Claus appeared in the school shaking hands with the students. 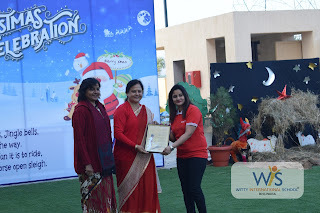 The guest of honour a renowned personality of Bhilwara Mrs Madhu Jajoo(Ex Chairman, Nagar Parishad) appreciated the students for their wonderful performances. 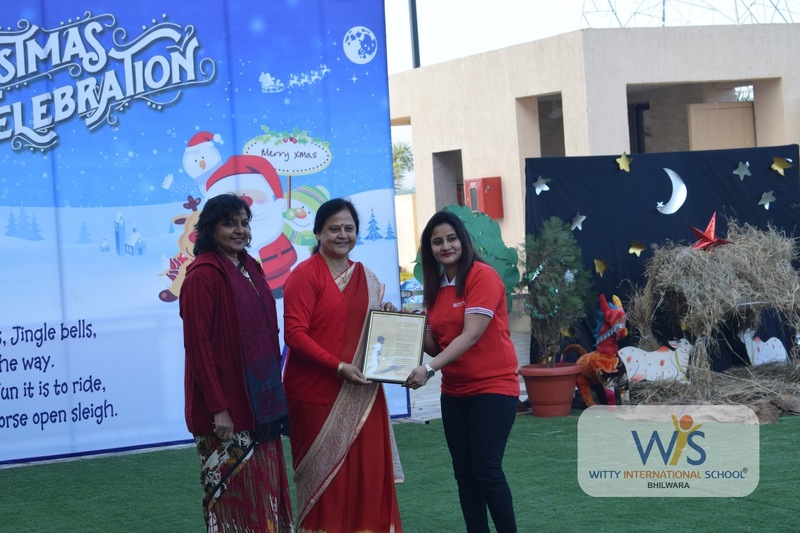 At the end Director, Mr Akin Choudhary and Head- Academic and Admin. 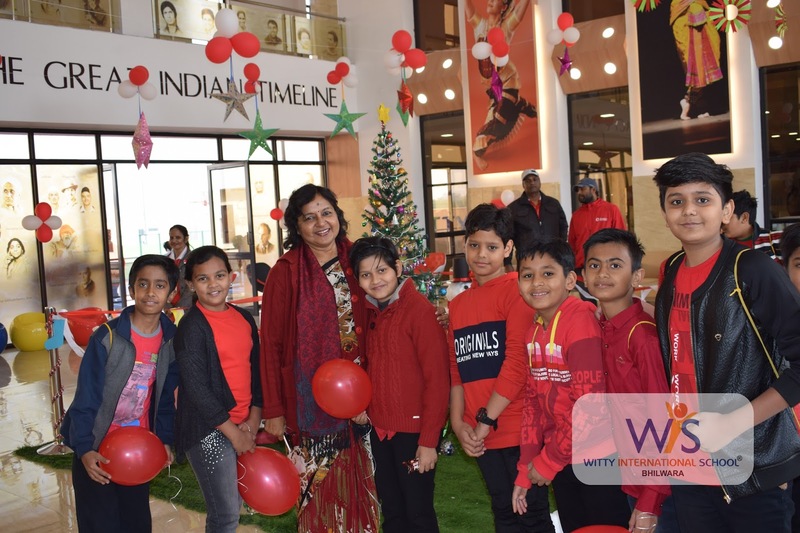 Mrs Abha Mittal conveyed season’s greetings to everyone present.